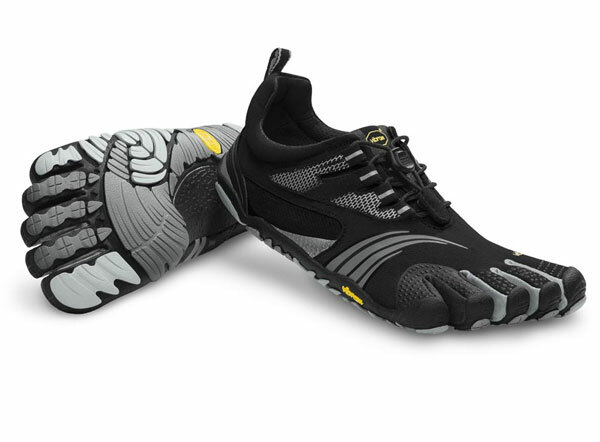 With today’s athlete in mind, Vibram FiveFingers has raised the intensity with the Vibram FiveFingers KMD Sport. This aggressive multisport design inherits what we love about the KSO with functional improvements that appeal to the most active fitness enthusiast. For the first time ever, Vibram introduces a stitch-free, seamless 2mm footbed to reduce friction. Heel and instep hook-and-loop closures help secure the stretch nylon upper to the contours of your foot-just like a second skin. The KomodoSport wouldn’t be complete without a 4mm Vibram TC1 performance rubber outsole which provides the grip and protection you need for a variety of cross training activities. The newest addition to the Vibram FiveFingers fitness line, the KMD Sport LS, offers all of the benefits of the KMD Sport with our popular speed lacing system to accommodate wider feet and higher insteps. Machine Wash, Air Dry.